Give the best. gift. ever. Technology is a wonderful thing. We can buy all of our holiday gifts from the comfort of our bed, after the kids are asleep, while enjoying a glass of something festive. I had a momentary relapse and went to the Eaton Centre the other day. I figured, it'll be fine! It's a weekday! How many people could possibly be there? Turns out, everyone. As in, I'm pretty sure everyone in the world was there. All of those people made it far too hot in there to be wearing a winter coat and boots while trying to find the last pair of airpods in the city. Thankfully, I'm back in my comfy home with my laptop and my amazon prime account. So much more civilized. Know what else is civilized? Online gift cards. I did some digging, and was delighted to find that I, too, can offer this amazing convenience to my holiday shopping clients! Click, click and it was all set up. 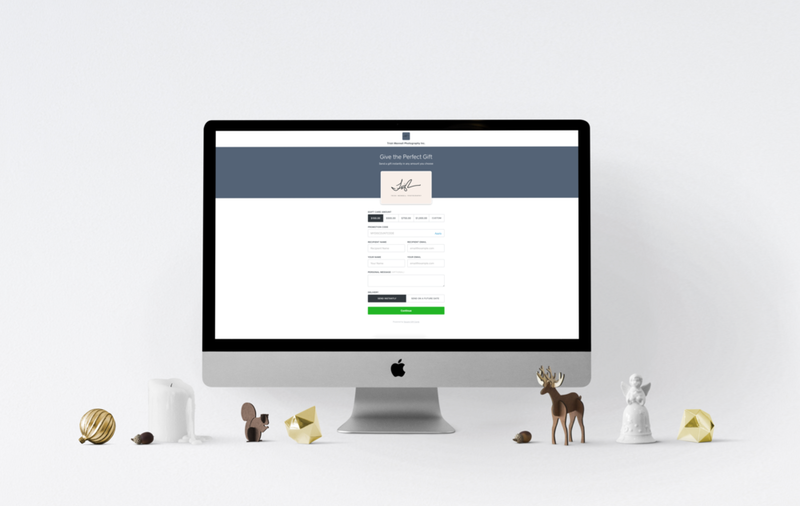 The TMP online gift card shop is officially open! The online gift card shop is open!